Friend of Oshun, personally, I like spells that take a little longer and shift focus as the moon phase shifts. Several people have already mentioned to trust your instincts and that is perfect advice. But if you feel compelled to shift negativity and do road opening work during the waning moon and then shift towards working to draw in what you want during the waxing moon, you would have the energy of the moon behind you. The spells will only facilitate and enhance your chances even more so! Hope you win a zillion dollars!!! This isn't really ethics, but I didn't know where else to put it and I couldn't find it by searching. I was just wondering if you can do more than one spell in the same day. Sometimes I have more than one thing to do and have one day that is really convenient to do them on. I know Miss Cat has written about not putting too many limitations on yourself that have no basis in tradition, but I just wanted to see if that applies to my question too. Is it okay to do two spells in one day or will I be scattering my energy or anything? Thank you. Silver9, professional rootworkers do this all the time. Do as many in one day as you can find the spiritual focus and mental energy for -- and then take care of yourself afterwards by whatever methods suit you -- prayer, soothing/cleansing baths, smoke yourself with incense, etc. I’ve just completed all of the work with the Attraction Spell kit yesterday (I wanted to attract luck playing the lottery & scratch cards and I wanted to attract a new love). I also planned to as soon as possible to start the Fiery Wall of Protection spell or just dash some 4 Thieves Vinegar on my neighbour’s doorstep because they keep trespassing on my property with their un-civil, unleashed dog and now they are spreading rumors about my mother that she has phoned Animal Control services on them. Would you see any problems with me and my Attraction Spell Work if I started the Fiery Wall spell or splashed the 4 Thieves on my neighbour’s doorstep tonight? Hello everyone, There is someone that I was sexual with that I want back and I wanted to have a "Come to me/follow me boy" candle lit for him to come back to me and there is also someone at work that I flirt with and I wanted to also light a "come to me/follow me boy" candle lit for him also. Is that okay? Also, I swear by Galangal Root if I want people to believe me. I just chew some, spit it out n the ground that they are near, and then speak. It works wonders. I've personally done this before without any problems. Thank you. After I do some cleansing I will start my work. 8. Creating a collage of all that I need to get a car, the kind of cars I prefer and making a spell out of it. I was thinking of a Green image of to represent myself burned over the collage that I will either keep in a safe place or buried in my front yard. No, it's not overkill as long as you do one spell at a time and wait for the candle results (in the event tht you have to do another one). Can you target more than one person with a single spell? For example, can you make a honey jar work on two or more people, so long as you have personal concerns from both of them? What about a doll baby? Is it fine to ask a saint for more than one thing at a time? Do I need to have an offering for each request? I personally like to work one person at a time. Unless we are talking about a group of people that you need to like you (if you're at a job), or a family to accept you. Yes, you can ask a Saint for more than one thing at a time but I personally don't like prescribing this tactic if you're not experienced with working with them. Would they think I'm demanding too much, or something? And do I need a separate offering for each request? I honestly don't know what the Saints might think. But, yes, you would give separate offerings. Again, I would ask for one thing at a time if it were me. Here is a new question. Ok I really DO NOT understand this running of candles business... like AT ALL. Today I made a picture jar (That I am VERY PROUD OF) and lit the remainder of my Love Me vigil and started a Compelling vigil. Something came over me tonight and said "Do Follow me Boy!" but I felt weak and tired so I thought I should move forward tomorrow and do it. First off due to my not doing it TONIGHT, I am afraid of weakening results for this tough situation. Thirdly, this is where I get confused. Some places I have read says to do the running candle thing lighting more than one candle at once. Other places says light vigils one at a time. Please someone explain running candles to me for the MILLIONTH time and how it would help a stubborn love situation. I have had this explained before but still don't get! Is it all candles at once or one day after another?? Forgive me I have a brain fart on a daily basis smh. A "Run of candles" is one after another. If MISC does it, they will give you a candle report after each one. TheBestest wrote: Here is a new question. Ok I really DO NOT understand this running of candles business... like AT ALL. First off due to my not doing it TONIGHT, I am afraid of weakening results for this tough situation. Not necessarily. Some folks learn from experience to be very strict about timing. Others learn, from experience, that timing is not so crucial ... for them. So try that Follow Me Boy candle, even though it's later than you were led to do it. You might be pleasantly surprised. Thirdly, this is where I get confused. Some places I have read says to do the running candle thing lighting more than one candle at once. A "run" of candles means a series. Some like to be absolutely sure a flame is burning absolutely all the time until the whole series is ended; they do this by lighting the next candle just before the previous one runs out -- think of it as an overlap. This is quite different from doing what Henri Gamache does, lighting a number of candles at the same time in one spell. That's not really a series at all. It's an interesting way to work, so you might want to look at The Master Book of Candle Burning sometime -- but now we're off topic. Other places says light vigils one at a time. That's what a run of candles is. Whether you "overlap" them or not is up to you. You may be getting confused by people supporting a series of candles with a different run of candles going on at the same time. Or just an "extra" candle of a different kind as needed, alongside the candle run. Don't worry about that. Just remember: a run of candles is a series of the same kind of candle burned one after the other, possibly starting the next candle just before the first one goes out. Vigil candles can be set in runs. they give insight to the situation as it burns and also burn on the situation adding that pressure. If you have a difficult situation, and the first candle came back sooty then I would consider a run ..or if a court case I would set a run from now till the day of court. I was browsing topics related to working multiple spells for different intentions and came across a conversation comparing comprehensive spell work vs. what sounds like a compulsion. Initially I wanted information on the space between intentions but I'd like to get some clarity on this. MadameKoiteh wrote: Obsession is for the victim, not the master. ladydawn wrote: so where do you draw the line between thorough and obsessive? starsinthesky7 wrote: Thorough is when you are working on the situation from different angles towards the same goal. I mean covering all your basis such as affecting someone by laying tricks, lighting a candle, etc, but then giving time for the work to take...is thorough. Obsessed comes in several different ways. Trying the SAME spell work over and over again on a situation that is not getting movement. Doing work on a situation for years and perhaps many months without getting any movement at all, and just not simply letting it go. A reading that indicates the situation cannot be rectified given the circumstances but still working on that. People figure that if they are not lighting a candle, laying down tricks, or working with a baby doll, etc. that the magic is not working. That shows lack and faith within the work and craft of rootwork. ConjureMan Ali wrote: I think the difference between obsession and being "thorough" is all in the mindset. If I had to define a difference I would do it in relation to the difference between being focused and determined versus letting the situation become the center of your existence; the difference between approaching something with confidence and determination and wallowing in anxiety. Either approach your work with confidence and faith, able to let the spirits do their job, or let someone else handle it for you who has a steadier heart. "Wallowing in anxiety" is restlessness due to doubt? ConjureMan Ali wrote: You are look at quantity, but that is not really important. You want to look at the quality. You can cast as many spells as you like till you get what you want (so long as your intentions are clear and focused). The importance is the quality of the work you are doing. Do you have good personal concerns? What type of quality products are you using? Are you able to effective direct your will in a prayerful fashion? Repeating the same spell again is immaterial if it lacks depth. I read the quotes above and I read the quotes below and while I understand, I am puzzled at the same time. I have confidence and faith and do not think about the spellwork itself after I am done, but I do think about the ultimate goal and daydream. I don’t stew over when & how things will manifest, but I do have happy thoughts about the final results. Like, I want to go back to school & often fantasize about sitting in a classroom & I actively look at syllabuses online, and I want to move to a new home so I look at pictures of apartments & houses and plots of land & furniture/design. Is something like Pinterest obsessing? Miss Bri wrote: It is pretty common for workers to do several spells towards the same goal, like a honey jar and a moving candle spell for love getting, or a break up bottle and a break up vigil light for breaking a couple up. Miss Bri wrote: It is true that different kinds of spells appeal more to different kinds of people, and it is also true that a certain kind of spell is more appropriate to a specific situation. However, I think that the problem of obsessing over spell work can come up no matter what kind of work you are doing. Worrying about the candle burning down your house is one thing, worrying about the spell's outcome though is something different. I was taught to do the work and not look back--in other words, have faith in the work that you are doing. Accept that the answer to your wish or desire may well be "no." But then proceed with all the strength and faith you can muster on the assumption that your work will work. starsinthesky7 wrote: Spell work is WORK. For a difficult situation, more than likely it is going to take more than one candle, or spell. These situations tend to be difficult, and require more work. It is going to take discipline, some creativity, and risks just like anything when people want something really bad. Also, goals are more attainable when you break them down in small goals. Thinking about a goal that is soo huge, can be discouraging, but if you break it down then and start doing results for every little goal...its going to help you get to the bigger goal. Also, burning the same type of candle or doing the same spell with no results does not mean you need something more stronger.Or you may need to hit the situation from a different angel, or you are not addressing the problem directly through the correct spell. I can burn a little free standing candle, with 3 ingredients on it, and it can be just as powerful. Yes some ingredients make things more potent, but the power is you. Yes the universe can tell you No, but I would say most of the battle is overcoming your faith and discipline. If I am reading these quotes correctly, concurrently hitting “the situation from a different angle” is not problematic when it is something like a honey jar, mojo hand, doll baby combination, or is that too much for one goal? For example: I am going to do work on myself for self love, healing, mental health, road opening & confidence and planned to do all three of the spells I just mentioned at the same time. Is that excessive, or is it okay because it is all for the same purpose? I don’t want my devotion to be to my detriment. I have not started yet, but I plan to this weekend. Also, in a couple of weeks I am going to do a moving candle spell accompanied by a doll baby and honey jar for a guy I like. I know those are slow moving but is it okay to do all three at the same time? I wont see him for a few months so it is no rush, but I want to get started. Devi Spring wrote: I completely agree on the vigil light. On multi-day spells I always keep a vigil light going on that petition (and usually afterwards for at least 1-3 weeks) - I really like having that perpetual flame going as I work. starsinthesky7 wrote: If you want to keep the work constantly going you can burn a vigil light for the same purpose. It is solely up to you, but you do not have to. j82 wrote: In addition you may also burn the 7 day candles to back up the work, so when you are not working they are. They also give signs, like if the glass is clear and no left over wax then its a great sign that the work is taking. If it is smoky then clears it meas you will have opposition but will over come it. A vigil light accompanying a spell is always beneficial, or no? Does it depend on the type of spell? In the past, I did a lodestone love spell on a guy I liked and a road opener spell to get a job and didn’t give it a second thought and I got both, but my health & well being is a bit different so I am doing as much research as I can because it is sooooo important. Will having a "perpetual flame" along side my self love honey jar, mojo, and doll baby be too much? Also, one of the quotes references vigil lights for 1-3 weeks after performing a spell. Is that a personal preference or a wide spread practice? NotDorianGray wrote: The disadvantage of performing multiple spellwords (especially simultaneously) is that you overthink, overwork and overextend yourself. You would certainly be better off doing ONE spell WELL than cocking up six or seven of them. Only take on board what you can handle. ConjureMan Ali wrote: You can always do multiple works with different intentions on a single day. You want to keep your intentions clear and keep yourself and your workspace cleansed. Currently this doesn’t apply to me, but there are multiple things that I need to work on. Maybe some of it can be combined with the self love? I have academic aspirations, I desperately need a new home and a job, and I need to attract new friends, so those will have to be stand alone spells, but can spellwork related to my self image, personal empowerment, wisdom, clarity, charisma & eloquence be incorporated into self love & road opening or is that spreading my intentions too far? What about stamina and physical strength? Sorry to cram all of these questions into one post. After reviewing the forum I haven't noticed anything about doing spells to draw money and banish a debt at the same time (unless I overlooked it). The purpose of the money-drawing spell is for a small trip to go out-of-state for graduate school, the debt-banishing is for, well, a debt . What are thoughts on these two types of spells running at the same time? You could do those as the same time, since they are complementary to each other. I had some reading done on a situation where at first I just had a 9-day reconciliation and a honey jar. After the read, it was clear there was healing and cleansing and some blockages to push. I'm wondering if my chosen additions are proper ideas as I was given a general outline. Set veve around - Legba to open the way, and a love uncross which I set in the home and on some of the target's favourite clothing that will be worn often. Set votives with the honey jar specifically for confidence, healing, and a road opener. And Adam and Eve/Adam and Steve candle is going now as well with the most even burn I have ever seen. I feel confident covering all angles will help, what say you all? We can't comment on your work as this is a forum for hoodoo-based spellwork and by working with Legba (an African and Afro-Caribbean deity) you indicate another spiritual path in the description of your spell. Nonetheless, good luck with it. If you would like help with hoodoo and the use of Lucky Mojo products, you can ask us here. I have multiple types of love spells going on at the same time for the same target in addition to a few other non-love spells. Over time I do start to feel spiritually fatigued. After I read about the helper lights on this thread, I realized I've also been making a big mistake. When I burn a 4" candle on my reconciliation/love honey jar, I used to also place the love spell bottle, love doll baby, binding doll babies and love mojo bags all around it. No wonder my love work has been going slow, think of all those items sucking away at that poor little candle! Today I gave the spell bottle and the binding doll babies a candle each of their own, my fatigue seemed to lessen too as all 3 candles were burning together. Just like in life, frugality in spell work is only advisable up to a certain point! If you cast many spells but all for the same purpose does it add more power to the first spell out come you want ? I don't know though about spells casted by yourself. I believe they add power especially when your building up energy from previous spells all for the same outcome. What are your opinions on this ? Casting multiple spells at a time does not necessarily add power to your work. Nor do multiple spells necessarily cancel one another out. How you work will be based on how you were taught and who you learned from. I personally like to do one spell at a time and wait for an outcome before deciding whether more work is needed. If you want professional advice, book a magical coaching session with someone from AIRR and they can advise you on a course of action for a specific goal. Miss Athena gave you both some good advice. I think both of you have been picking up on internet conceptions and "rules" regarding spell casting that actually have little or nothing to do with hoodoo, which is simply African American folk magic, and includes a lot more ways of working than "casting" and a lot more types of work than getting reluctant lovers to comply with one's romantic desires. To be specific, Innocence, your image of "all those items sucking away at that poor little candle" is something that sounds ridiculous to me. Sorry, i am not trying to be rude, but that's the way i see it. So many great and effective love spells use NO CANDLE AT ALL, that if your love work is going slow, blaming the fact that you had only one candle lit sounds like a coincidence to me. The best love work is contact work, period. Try that, set a time limit on it, and ride it until the wheels fall off! Then, Witchywitchmari, you are trying to make sense from the experiences of those who "order spells from two different spell casters," but people like that are generally experienced practitioners in the Black American community of hoodoo, and as you yourself noticed, their opinions are pretty much anecdotal and not typical of the results gained by those who know this work and use it to help themselves. My advice to both of you is to get into what hoodoo really is -- a way to help yourself on so many levels! i have been lighting a follow me boy candle for the past 3 days, and instantly i got the feeling that i wasnt alone, and that same night i had a dream that my target was following me. and when i woke up right away i knew that this oil was very powerful and that kinda scared me. the next day i saw my target probably twice but nothing out of the ordinary we are both purposefully ignoring each other at work as we had an argument a month ago. and finally dressed with bewitched me powder. all the items i had seemed to be aligned with eachother so i figured lets try them together and see. i burned 3 candles, one after another with same commands. however today my husband, who i am now separated with, and me were talking and he became very hostile towards me and i became out of control angry as well as we both became very violent towards eachother. it was like i was unable to control my anger and he even strangled my neck and then just left. the candles were not lit for him because he is a very abusive man and i just dont want him in my life anymore, but the kinda fight we had today was out of the ordinary. However the candle flame was really high and really steady, dancing every now and then. it was once in a while letting go of smoke that appeared like tornado and i think i temporarily saw an image in the flame. i am trying to get an email reading, and emailed a few people to try to see if i can schedule one and still waiting. but did i over do my spell? If that man doesn't live with you, then the spell had nothing to do with his behavior. PLEASE don't let this man near you. PLEASE. Right now, I am shaking that he tried to strangle you. Is there any way that you can get a restraining order against him? i called my mother and she is with me right now and we are thinking about what to do. The reason why i thought it was due to the spell is because of my reaction. normally i would feel scared but i dont. I felt soo much anger and felt empowered. i have never felt this much anger before. Usually i take the abuse but today something just over came me. Could that be because of my spells? Do i need a break? in terms of protection, i am praying some verses of protection from my religious book and i have some protective verses hung up over the house. Meanwhile, i do have a feeling that this time around, this last burn will result in some kinda positive outcome. its just a feeling i am having like i finally broke through the resistance somehow. serenity786, i am glad you are safe. It is my belief that setting love lights for someone cannot and will not make you become angry and violent toward your abusive ex. The two concepts are entirely different. Many people have a deep-seated culturally-imposed fear that magic is somehow "bad," and even when they do a good job for a beneficial result, they blame other thigs that go wrog on the fact that they did some work to help themselves. In your case, you are working on a love spell and there is no reason to "take a break" or to think that the love spell was "overdone" in any way. What you DO need to do -- immediately -- is get a permanent restraining order against your violent ex. And THAT, truth to tell, is not magic. That is LEGAL. Best of luck, and be safe! Today I totally screwed up 3 freezer spells and it's come to light that someone is working against me. Now once I correctly dispose of the botched freezer spells and cleanse myself and my house, I'm wondering if this failed freezer work will somehow affect my nothing but positive Candle Work. How can I also effectively protect myself from further interference? Mirror box? Uncrossing? Spells and LM product suggestions please. Not sure if it's too soon to contact my rootworker about this or not. Any help is greatly appreciated. Thank you! In my opinion, I don't think your freezer spells would interfere with the good results you've gotten with the other candle work, because they were done with two very different goals in mind (love vs. freezing a rival). But, you could always find out for sure by getting a reading with your rootworker to check in on things. Please advise. Thank you for your assistance. I am not sure i understand your question. First you ask about "using 3-4 different spell kits at the same time" and the you ask about "using one spell kit a month." Since few kits take more than two weeks to complete, if you work one per month, you will not be working 3 to 4 at the same time. I would question your economic framework here -- Why not purchase 1 per month and do them in the order you have chosen? Or, if you wish, why not purchase, say, 3 of them, and work them simultaneously? I am concerned that you are ging to over-invest in products you may never use. If you buy two of them -- one for money and one for love -- you can see how you like the work, see how you like our products, and get to experience some results. Those books, as a group, cost less than two spell kits and will open your eyes to a lot of ways to practice hoodoo on your own, in a holistic and traditional way. Is it ok to burn a 7 knob money candle and work a lodestone spell at the same time or should I wait till after the 7 day candle is done to start with the lodestone? There is no reason not to work them at the same time, and it is possible in many instances to add a simple candle spell to another kind of work at the same time. Yes you can do all of those at the same time. The spells are working for a similar purpose but a different angle of it. I light Fiery Wall of Protection twice a day (morning & night). Can I also light Psychic Vision candle at night to enhance my psychic ability and Bayberry candle during the day for money and luck? I know they serve different purposes. But would that be considered spell overload? "Spell overload" is more of a thing people made up, or they get so tired because they are streching themselves too thin over the work. Doing regular work is completely ok. The jobs you want to do are things people would work daily and not a problem. Id also say some people take spell over load as jumping spell to spell, they do a spell, wait a day do a new related topic spell .. ie showing no faith in the work. JayDee is right - doing regular work is totally okay! And I would encourage it! When I first signed up for the Correspondence Course, I did a spiritual bath like, every single day. Then I started in on floor washes. I’ve burned pounds and pounds of Wealthy Way incense. I made soooooooo many oils. I’m one of those hands on people who loves to do try things out. Spell work is fun - and it WORKS!!!! The products you are using are all positive and harmless - it’s not like you are cursing someone in the morning then turning around and doing a love spell for yourself in the afternoon. But even if you wanted to do that, you could just do some spiritual cleansing work in between. As long as you have the energy and the interest, do as many spells as you want! I am a firm believer in quality of work and not quantity. If you can focus your intent on one working and have it succeed, then go on to the next job you will have better results. Take your time. Slow is fast and accurate. Shout out to JayDee, heidiroseholton and Edward T, thank you for all your responses. I guess initially, I thought that I should light one Vigil candle at a time and wait till it’s completely out before I light another, though they serve different pursposes. That was the reason why I thought I might’ve overload or overdone Vigil candles. I’m pretty new to lighting Vigil candle. How will I know when the candle is done? Should I wait till it’s about 1/4 left and stop lighting them or will it stop burning on it’s own? I do not want to wait till the glass break or would that even happen? Sorry if it’s out of subject. Many workers wether be professional or work for themselves and family/friends do multiple jobs and burn many candles for different purposes. One way to do this is the use different alters for your work. This will vary based on privacy, space and need. Some work with one alter, others work on many. Some have a love alter, money alter, cursing alter, blessing, etc. You can burn those candles on those alters with items that represent those needs. If you have one small area simply place them in their spot and work with them that way. To work the different candles, everyday pray over each one at least once a day with the petition. A glass candle will burn itself out. No need to put them out unless you have too. The glass can break, anytime you mix fire and glass that is an option but its rare. Do not leave unattended. Many people burn them in fire proof places like a ceramic tub, a sink, a stove, a fireplace. Some people burn them in a pan with sand. If the glass breaks its considered a sign of the work. IE- I am burning a candle for love on an ex, the candle breaks, the person is resisting the work and fighting it off. IE 2- I am burning a break up candle on my ex who cheated on me and is in a new relationship, the candle breaks as its burning, good sign indicates a blow up and a break up between them. What I was worrying about is if the glass would break if I let the candle burn all the way down. I read that we shouldn’t let glass candle burn all the way and to leave about 1/2” of wax to prevent glass breakage and possibly fire hazard. What’s your take on that? Let that glass break!! It can be scary the first couple of times it happens, but you should let your vigil candles burn all the way. Miss Cat showed us a bunch of vigil candles at the apprenticeship that had broken, cracked, or were absolutely covered in soot inside. That is where candle divination comes in - the way your candle burns helps you to assess the work and decide what your next step should be. 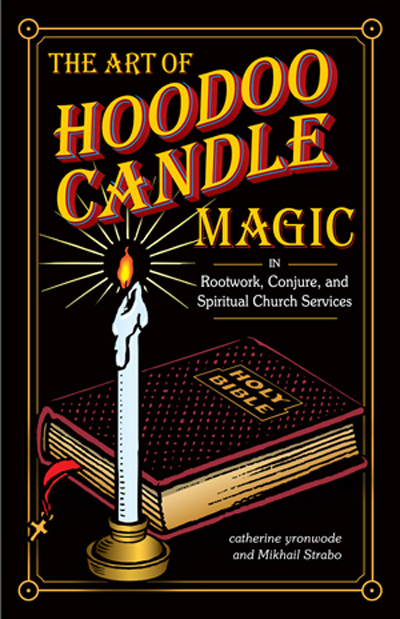 Definitely pick up a copy of the candle magic book JayDee recommended. And figure out a safe set up just in case you have a candle that breaks. A small metal washtub filled with sand is a good option! I have burned many many candles and of them maybe 2-3 total of broke, most broke at the top where it got the most hot from the energy leaving. The rest and I think iv burned a few 100 of them burned with out breaking. I let them burn out and read signs in the glass as well. I also keep mine in a safe space when not in the house like a tub, which they are in a pyrex glass dish you can fill the dish with sand, if it breaks it will go into the sand and be absorbed. Hope this helps. I agree with heidiroseholton. Let the vigil candles burn all the way. If the glass breaks, spirit is trying to tell you something. I just received Uncrossing and Fiery wall of protection Vigil candles. Should I start with Uncrossing first and then FWP? Or can I lit them both at the same time? Also, talking about fire safe container when I’m not home, I’m thinking of placing the candle on an aluminum foil BBQ pan with some mini crystal cat litter. Would that be ok? I would do both at the same time, for as the uncrossing removes negative conditions, fiery wall of protection would protect you and keep you save from new attacks or reversing work. A tin is an option as you mentioned with sand. Don't use water. When i'm not home I stick mine in the tub (its metal with brick) and remove anything that is a fire hazard.